A fiesty young woman, caught in a love triangle between the highbred son of her employer and a poor but adoring klezmer player, must decide whether to stoop for love or money. And why is stooping the only choice anyway? Set in a shtetl of romanticized memory, this heart-breaking comedy is based on the Yiddish play The Singer of His Sorrows by Osip Dymov. For pay-what-you-can tickets, please visit the Theater J website. Please contact the box office with any questions at 202.777.3210. When Yankl, the town drunk and a notorious philanderer, gets married, everyone predicts that it won’t last. Everyone, that is, except Yankl’s young wife. Can her faith in him stop Yankl from falling back into his old way of life? Can people change? And if they can, is there any guarantee that they won’t change back? This sensual and insightful exploration of the power and limitations of relationships rings just as true today as it did when it was written over 100 years ago. 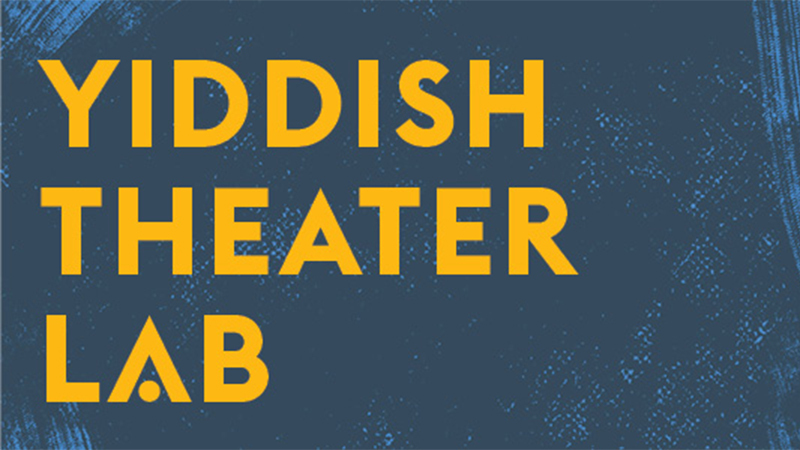 This Yiddish Theater Lab play reading is presented as part of JxJ. For pay-what-you-can tickets, please visit the JxJ website. Please contact the box office with any questions: 202.777.3250 or boxoffice@jxjdc.org. Eight Nights tells the story of the lives that inhabit an apartment from 1949 to 2016. Rebecca, a young Holocaust survivor and refugee, is finally free to start anew in the United States, as she confronts the past that haunts her, alongside her father, husband, friends, daughter and granddaughter. The play takes place over the eight nights of Chanukah, spanning eight decades of Rebecca’s life, gracefully weaving together heart-aching moments with dark yet life-affirming humor. 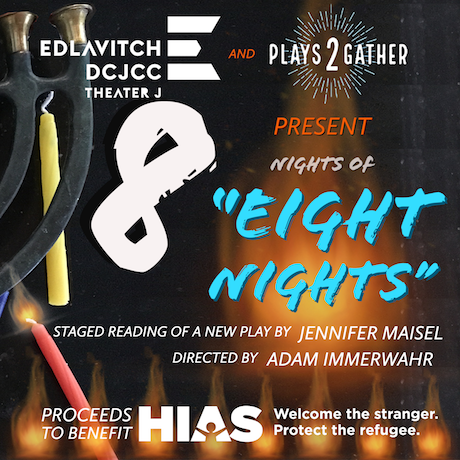 “8 Nights of Eight Nights” is a series of staged readings of Eight Nights on eight different nights in eight different cities, to raise funds and awareness for HIAS in the wake of the Tree of Life shooting in Pittsburgh, and to stand with all those who are persecuted on the basis of race or religion the world over. For tickets, please visit the Theater J website. 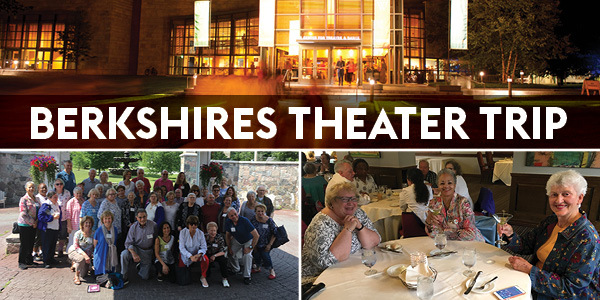 A unique opportunity to enjoy a full weekend of theater-going with Artistic Director Adam Immerwahr, Managing Director Jojo Ruf, guest artists, and fellow culture-lovers in the beautiful Berkshires.